Harris Brothers Roselle from 1928. 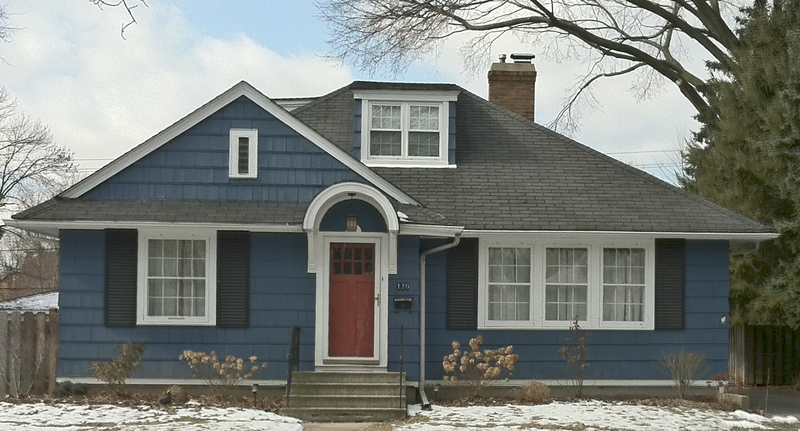 Yet another Roselle model from Harris Brothers, with an added dormer. Harris Brothers had a sales office in Des Plaines, so that explains why there are so many of their houses built in this area. Is this an original garage from Harris Brothers? Sure looks like it. The building permit for the house was issued in September 1927. 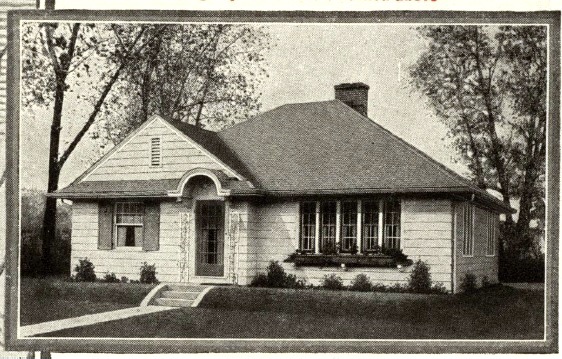 This would make it one of the first houses built in the Prospect Manor subdivision. The first owners were Valentine Frank Weber and his wife, Florence. Valentine was a land surveyor for the village. The Webers moved out in 1949 and sold to the H. J. Nieman family. This is the exact same house as the Gordon Van Tine "Sharaten"from 1931. Did the different kit house companies share/trade plans? The Harris Bros. Roselle and the GVT Sheraton (a.k.a. the Blair) have different floor plans. The GVT model has a bumped out dining room. There are a ton of Blairs/Sheratons in the Chicago northwest suburbs. And a ton of Roselles. One day I'll get around to posting them. Thanks for your comment. And, yes, the kit companies would steal plans from each other and change the floorplan just enough so they would not get sued. Additionally, Gordon-Van Tine made the houses for Montgomery Ward, so they share the same models under different names.